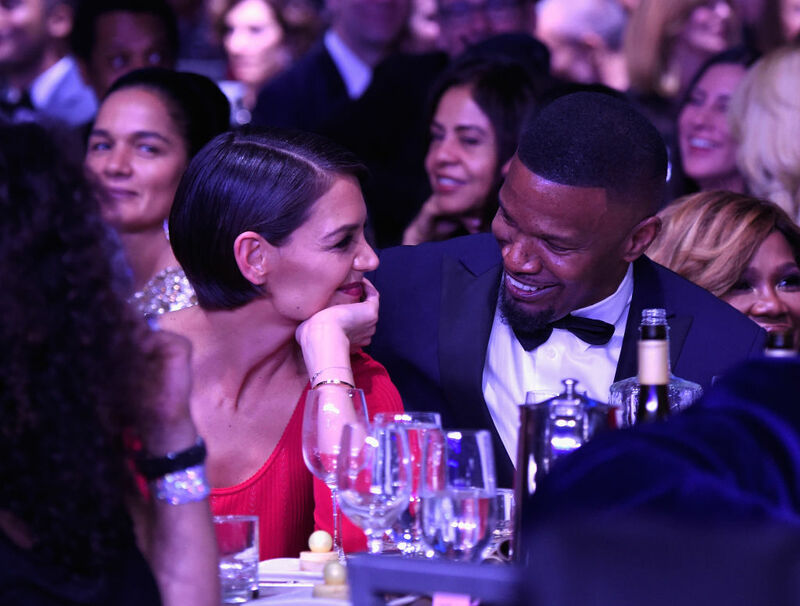 Katie Holmes and Jamie Foxx have been rumored to be dating for years, but the pair has yet to make an “official” appearance together. But during the Clive Davis and Recording Academy’s annual Pre-Grammy Gala, the couple got cozy in public, which should delight anyone who loves this highly secretive celebrity pair. 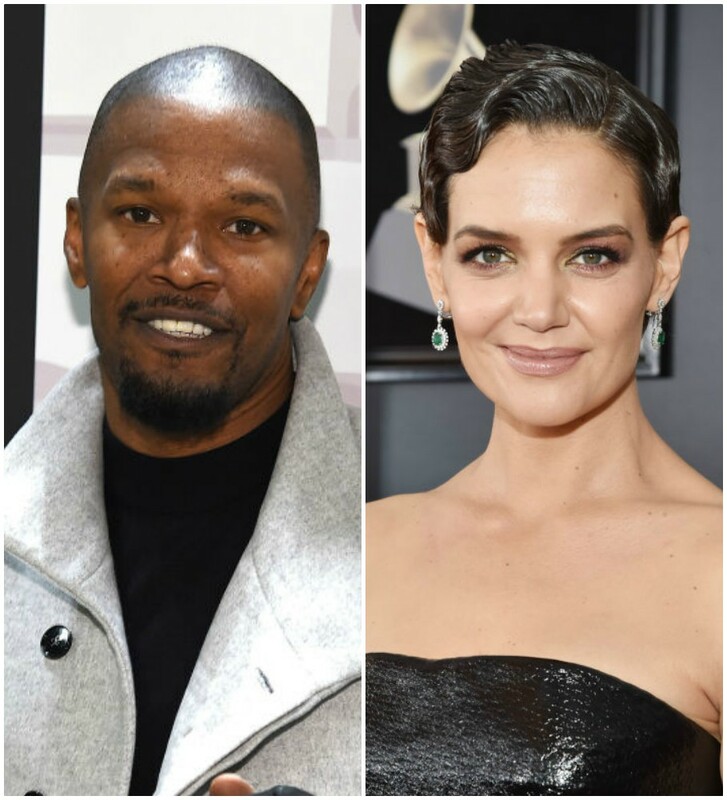 Katie Holmes is a presenter at the 60th annual Grammy Awards on January 28th. But the night before, Foxx attended the pre-Grammy Awards Gala with Holmes. Well, they didn’t technically attend together: People noted that Holmes arrived at the event before Foxx. And while they were seated at the same table, they didn’t really sit together. But even with covert behavior like that, the rumored couple was put on the spot by music producer Davis during the event honoring Jay-Z. "If you're going to sit together what better night than tonight?" While Holmes may not have been thrilled about Davis exposing their potential (definite?) romance, she did appear extremely happy when she was sitting next to Foxx, as the below photo shows. Although Holmes and Foxx have not officially confirmed their relationship, it’s hard to believe this pair isn’t together when such a smitten moment like this gets captured. People also reported that the pair stood up and danced together — along with other guests — when Logic performed. So yes, Foxx and Holmes’ romance is technically still a mystery. But thanks to Davis, photographers, and the visible feelings between them, we got a glimpse of their elusive relationship at the pre-Grammys.